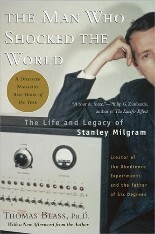 The cognitive revolution of psychology in the 1970s began to give way to the early findings of automaticity in the 1980s, which were spearheaded by Situationist contributor John Bargh, whose dissertation on automatic social perception won the Dissertation Award from the Society of Experimental Social Psychology in 1982. Since that time, the field of automaticity has grown from a few studies on social perception and judgment to encompass research across the social psychology spectrum, including research on emotions, attitudes, goal pursuit, relationships, and evaluations. 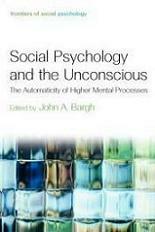 In Bargh’s latest book, Social Psychology and the Unconscious: The Automaticity of Higher Processes, he collects chapters from researchers working on automaticity within these varied contexts. Bargh makes clear in his introduction that the original assumption of a dichotomy between automatic and controlled mental processes is overly simple and reductive, and many of the essays deal with the interaction of these processes. The first chapter gives an excellent introduction to the field of automaticity, covering many of the leading theories and models of automaticity, and setting up the interplay between automaticity and control that is woven throughout the book. Other chapters focus on the state of the art of automaticity in each of the subfields of social psychology in which the authors research. Since each chapter focuses on a different subfield, the book is most valuable as a resource in its gestalt. 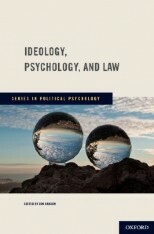 However, for researchers interested in psychology and law, a few points stand out. First, the chapter assessing the current status and validity of the IAT will be useful, especially given the criticism it has received in the legal literature. Second, the chapter on automaticity of emotion sheds some light on crimes of passion. Finally, the last chapter, which focuses on Process Dissociation Procedure, uses the Amadou Diallo case as a jumping-off point for research on reactions to ambiguous objects (is it a gun or a tool?) in the presence of black faces and white faces. The article explains the theory’s attempts to separate intentional and unintentional contributions to the same behavior. 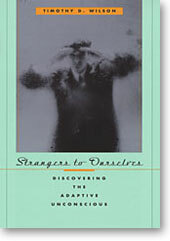 For a sample of previous, related Situationist posts, see “Unconscious Situation of Choice,” “The Situation of Hair Color,” “The Situation of Reason,” “The Situation of “Winners” and “Losers,” and Part I, Part II, Part III, and Part IV of “The Unconscious Situation of our Consciousness. This entry was posted on July 24, 2008 at 2:35 pm	and is filed under Book, Choice Myth, Implicit Associations, Public Policy, Social Psychology. 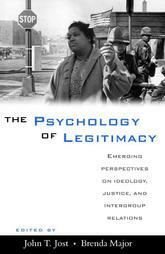 Tagged: Amadou Diallo, automaticity, John Bargh, Social Psychology, The Unconscious. You can follow any responses to this entry through the RSS 2.0 feed. You can leave a response, or trackback from your own site.